Good news for area jazz fans! 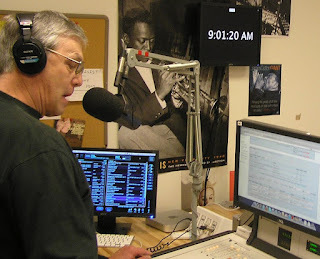 Jonathan Miles will be back on the air with It's a 'Burgh Thing: The Pittsburgh Jazz Connection. Fridays starting 3 August, at his usual time, 9:00-11:00 am. WNJR 91.7 FM in WashPa and wnjr.org everywhere. A Way with Words is now on WNJR. Every Saturday at 1:00 pm, right after Philosophy Talk. A Way with Words is public radio’s lively show about words, language, and how we use them. Funny, informative, and fast-paced, the show features language experts Martha Barnette and Grant Barrett answering listeners’ questions about word and phrase origins, books and writing, old sayings, regional dialects, foreign languages, curious family expressions, and slang. By looking at the world through the lens of language, A Way with Words listeners get fresh and entertaining perspectives on politics, pop culture, history, sports, music, literature, business, and science. Visit Fresh Bread on Facebook to post music requests and comments for Pastor Jones and Donyisha Jones. You can hear them on WNJR every Monday from 12:00 noon to 2:00 pm, on 91.7 FM in the Washington PA area, or click on the headphones in the upper left of this page for the WNJR webstream.